The Samsung Galaxy S6 was launched only a couple of days ago, along with the curved Edge variant, and we’ve already got some really great accessories for it. 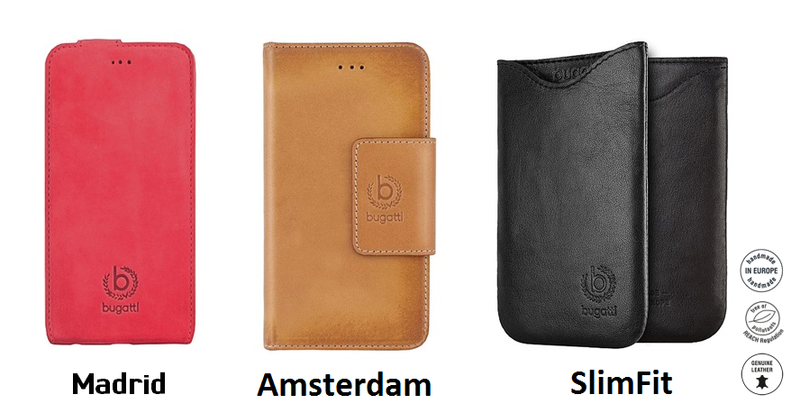 Today we decided to show you three stylish Bugatti leather bags for the Galaxy S6: Madrid, Amsterdam and SlimFit. Bugatti is a German company known for luxurious, handmade leather bags. They have produced several different Galaxy S6 protective cases, and you will find a couple of them on our shop that should appeal to a number of GS6 users. All three of these cases will fit to your Samsung perfectly, and will keep it safe from everyday damage. Simply choose whether you would prefer a flip case, a wallet case, or a regular one. You can read more about these cases and check out more Galaxy S6 accessories on our website! This entry was posted in Uncategorized and tagged Bugatti, cases, Samsung, Samsung Galaxy S6. Bookmark the permalink.